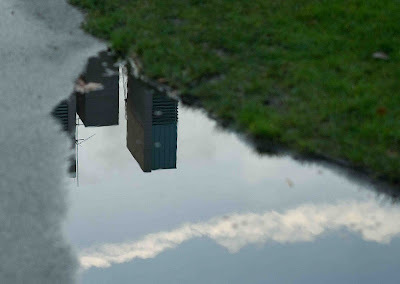 The puddle in the park reflecting the jet stream and the buildings looked like the torn page of a book. What do you think? Check out skywatchers from around the globe. Does look like a torn page! Love your photos - my hubby and I visited London for the very first time in June last year (we are in our 50's) !!!! - we loved it!! So nice to see your photos - some places I recognise not by a photo but by seeing it in person! I like your puddle art. There is a focus but it´s sort of funny. I agree and it is a wonderful shot! nice capture...thanks for sharing with us. I like it. It's like a tiny mirror on the sidewalk. I love your Skywatch Friday posts! That is a brilliant photo. I like the focus in the puddle and the blurred ground. This is brilliant, and you know so much why I like this. You nailed it perfectly. This reflection is crystal clear just like a mirror. Nice capture.